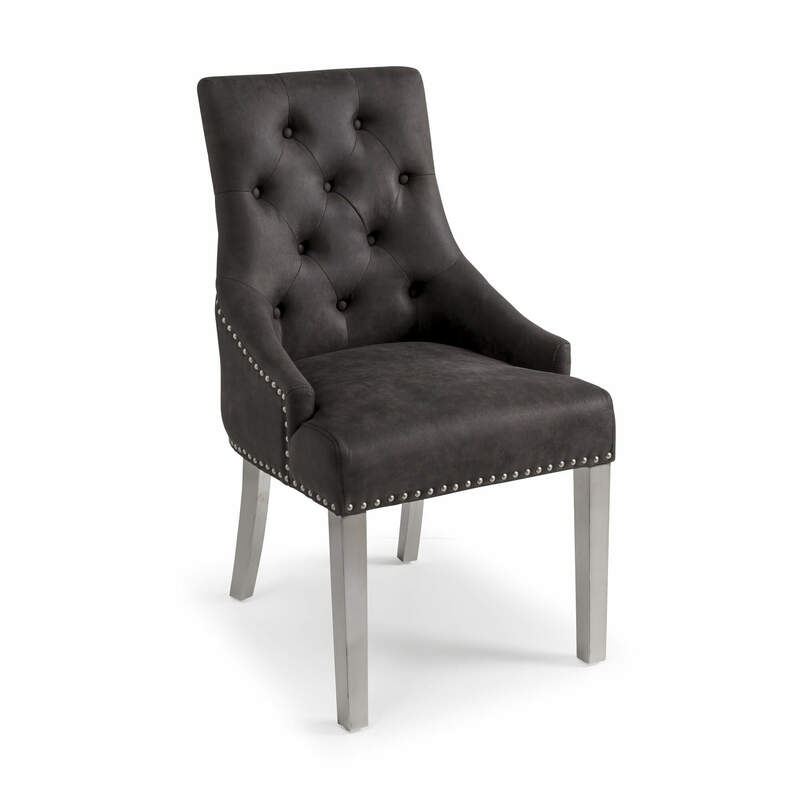 Our newly redesigned Chelsea upholstered scoop back dining chairs are sophisticated and very elegant. 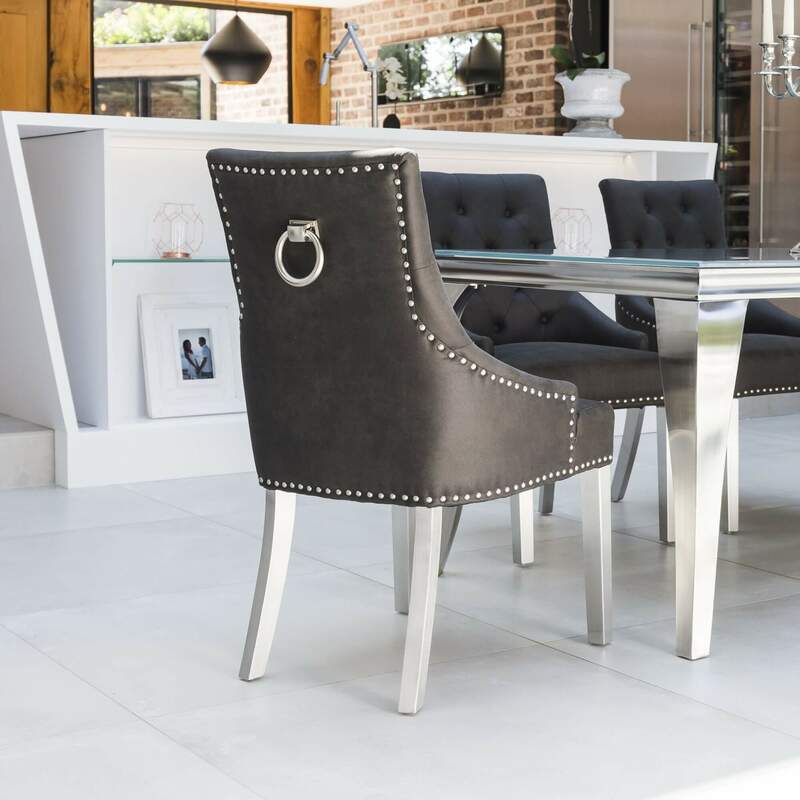 A lovely luxury model that's designed to impress anyone who steps foot into your dining room. 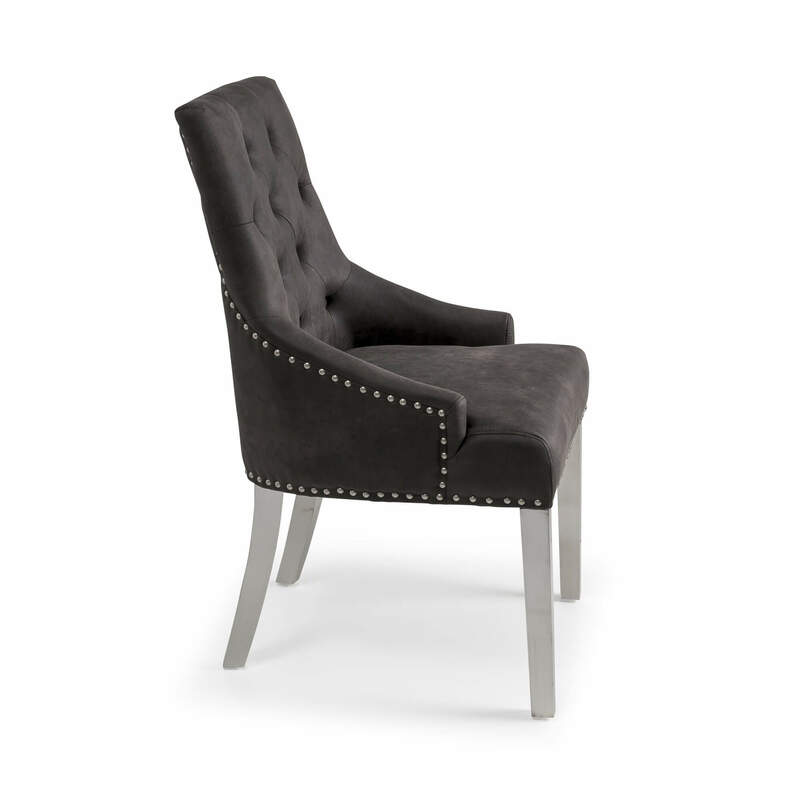 Upholstered in a grey buck fabric. 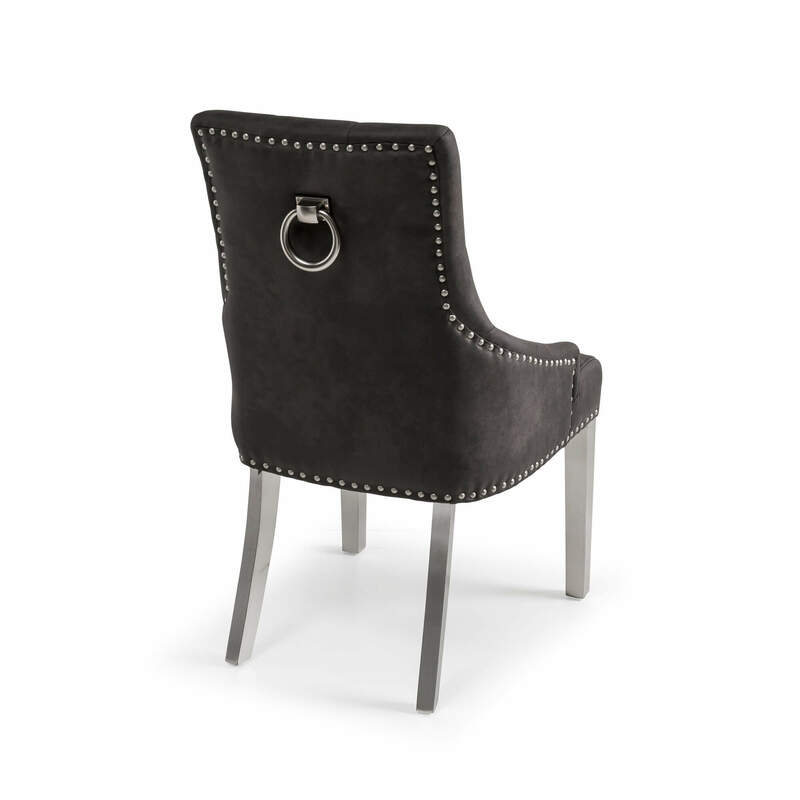 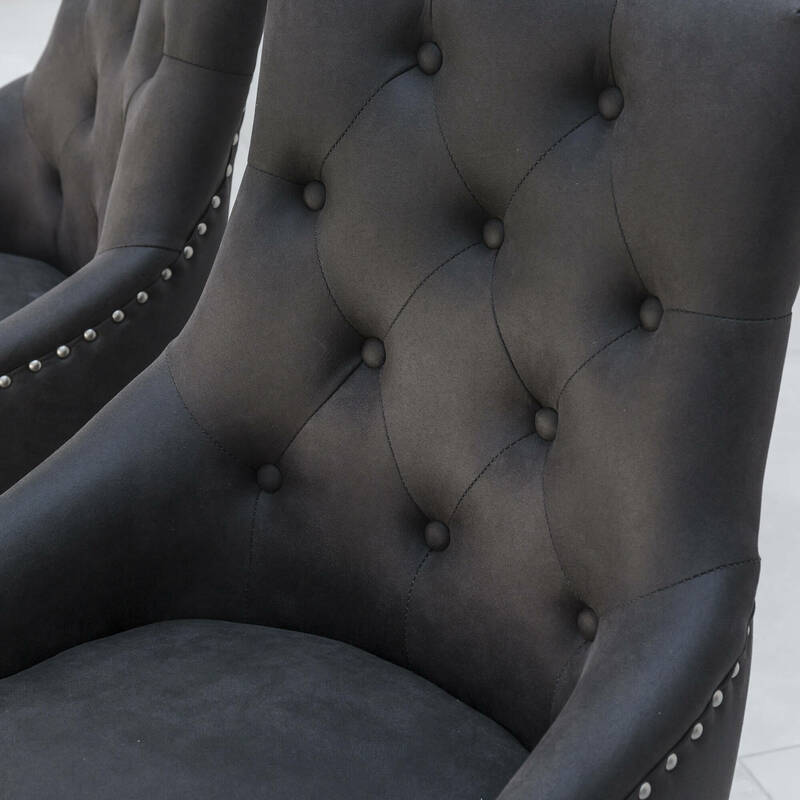 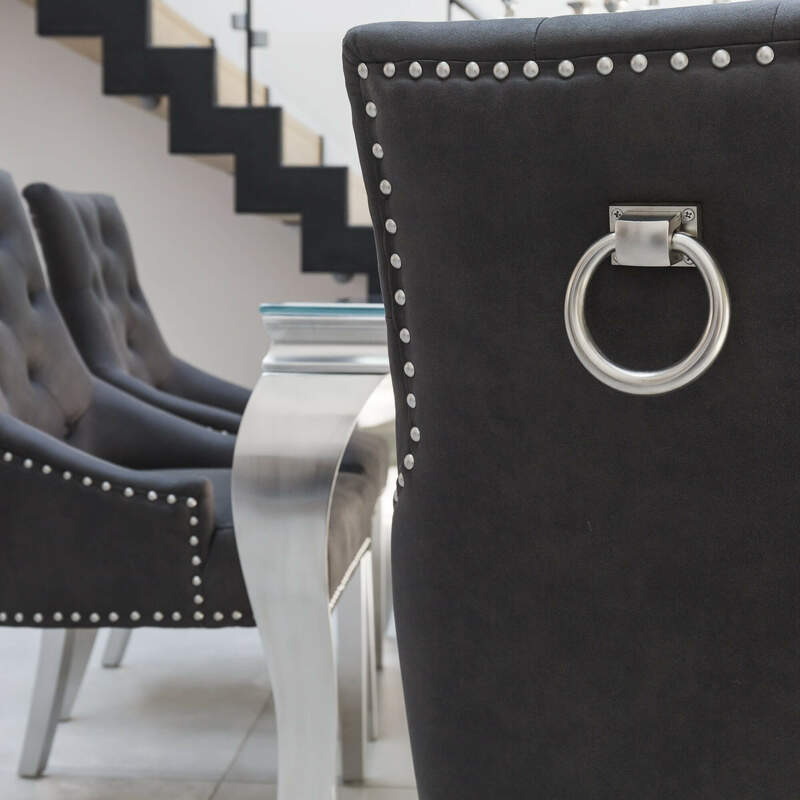 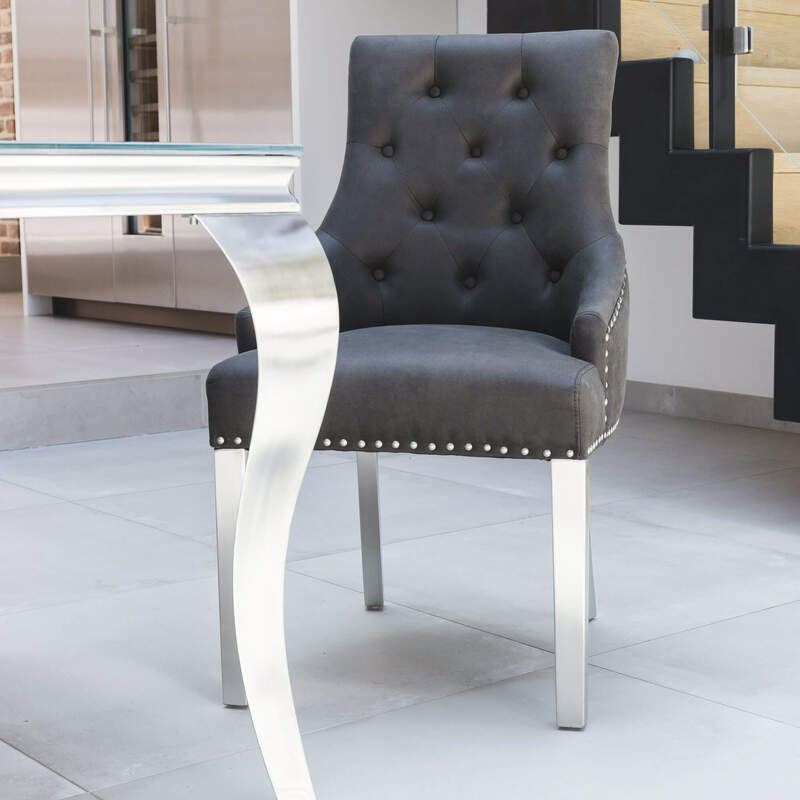 The backrest boasts a quilted button detailing with decorative brushed metal studs and a elegant brushed ring and are complete with four brushed steel legs.